Our Team of highly dedicated lawyers offer specialist advice and representation in a wide range of legal fields. Click on one of the subjects below or search for your area of concern at the top of the page to find out more. We welcome the opportunity to discuss any of your legal requirements. DMA Law has been providing mainstream legal services in the North East for over four decades. "I literally couldn't thank my conveyancer Rebecca Duranni from DMA Law Chester Le Street enough for holding my hand through the whole process and being a shoulder to cry on (literally). To top it off their conveyancing fees were the most competitive of all the law firms I enquired at." "Thanks for your advice, help, warmth and approachability with our move...as well as your professionalism and efficiency. We are very happy with your service, and will certainly be happy to recommend you to anyone else who asks for recommendations." "Just a note to say thank you very much for all your help with the settlement agreement. It was a stressful time and your straightforward support and advice throughout was greatly appreciated." 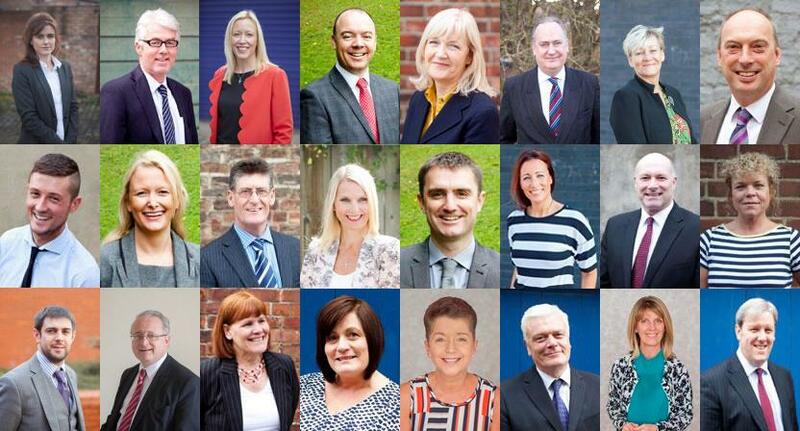 "The conveyancing team have been brilliant, and we have been updated at every stage. We are looking forward to living in our dream home, but if anything changed DMA Law would be our first port of call." "Thank you for making our move relaxing, I would like to say a special thanks to Marina she was superb, everything she did was done promptly, efficiently and with no fuss." " Made buying our first house as stress free as possible. June and Sophie at DMA Hartlepool were great and kept us informed every step of the way. "We would like to thank James Burnett for finally bringing our case to an end. His mixture of calmness, aggression and expertise brought this about. James will be a great asset to DMA Law and if we need any help in the future James will be our first port call. " "I contacted DMA Law to resolve a contractual dispute and can say that experience was fantastic during what has been the most stressful period of my career. I was contacted efficiently, and James was attentive, prepared and showed expertise. I would happily recommend DMA Law to my family, friends and clients." "I used the Consett branch of DMA for my conveyancing, what a brilliant, friendly firm this is. My conveyancer was so fast at everything, all my conveyancing was finished and signed in under 4 weeks. Would highly recommend this Law firm for everything, every member of staff was genuinely lovely and helpful and no matter how many times I rang with silly little queries they always took my call and helped me." "Thank you for all your assistance, help, advice and guidance. In short, it has been a pleasure working with you and leveraging your expertise. Given my experience, I will of course refer anyone I know to DMA Law." "June thank you sooooooo much for your advice with my conveyancing - you've been amazing and I so appreciate all your help. "